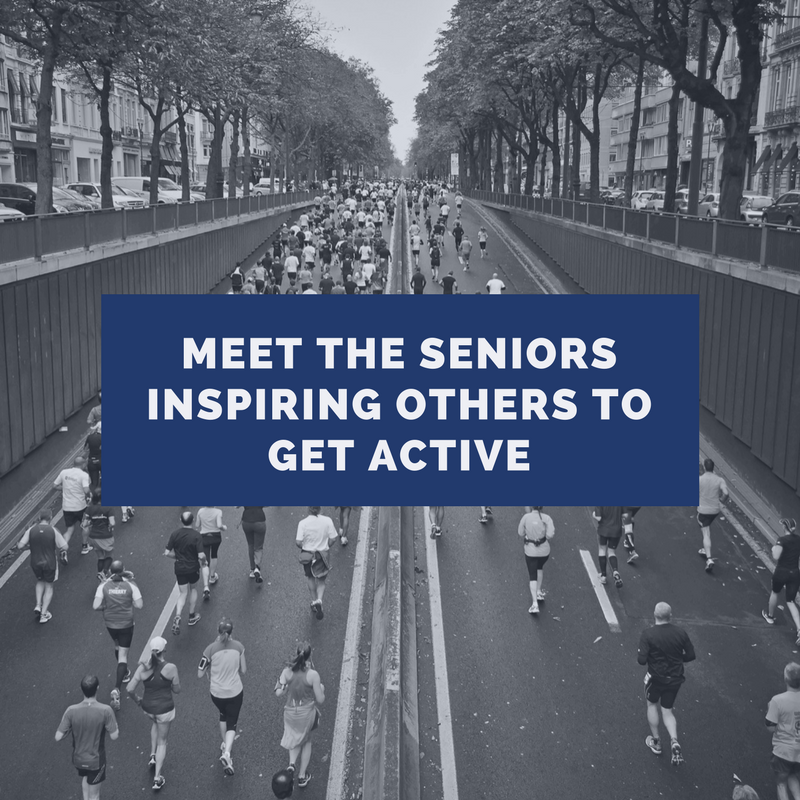 Some seniors think that because they’re older now, they shouldn’t be doing as much physical activity. It’s actually the opposite, with physical activity being very beneficial to seniors, just as it is beneficial to those who are younger. The World Health Organization says that seniors should do 150 minutes of moderate exercise a week, or 70 minutes of vigorous exercise a week to keep themselves healthy and in good shape. If you’re needing a little inspiration, then there are a couple of incredible people you can look up to. It’s never too late to start exercising, as the 78-year old, East Alton, Illinois resident Shirley Webb has shown. Before she began her training, Shirley was unable to even get up from the floor without assistance, and now she’s busy lifting weights in the gym. The grandmother set her goals, and in the end has managed to deadlift a barbell weighing 225-pounds! Shirley found a trainer, named John Wright, who was patient and helped her a lot, making sure her form was correct to prevent injuries. Shirley isn’t the only weightlifting senior, though. Sy Perlis of Arizona is 91-years old and managed to lift a 187.2-pound weight. He broke a World Association of Benchers and Deadlifters record in the 90 and over category with this lift, and has also held world titles in 2010 and 2011. If Shirley and Sy can do it, then you can too. Weightlifting isn’t the only option for seniors, though. You could take up running, just like Ed Whitlock. Ed is 85-years old, and regularly competes in marathons, having ran in them at a high level for over 60 years. Ed recently broke a record, and finished a marathon in under 4 hours. That’s something that isn’t possible for people half his age. What’s more, Ed broke the record for people aged 85 and over by over 30 minutes. If you want to be even more impressed, then there’s always the 104-year old grandfather who ran a 100m race. Stanisław Kowalski became the oldest person in Europe to run a race of this kind, and even broke the European record with a time of 32.79 seconds! The record was better than his previous best too, improving by 1.21 seconds. Mr. Kowalski credits the fact he spent most of his life cycling, or walking, 6 miles to work, and then taking up running when he was 92. There are a lot of benefits to staying healthy, whether you’re young or old. For seniors, though, it is very important. This is because exercise keeps the body working, and in better shape. For instance, the Mayo Clinic says that exercise can improve chronic conditions, such as heart disease or diabetes. This is achieved through aerobic exercise, leading to an improved heart and endurance, that also leads to weight loss. Doing exercises can also help control the severity and frequency of asthma attacks, while low-impact exercise can increase the strength of muscles in your back to reduce symptoms of back pain. You have to be careful when deciding the type of training you’re going to do, though. This is because doing the wrong sort, or too much, can cause more damage to your body, and won’t do you any good in the long run. For lower back pain, swimming would be one of the best activities to do, as it is low-impact, and won’t strain your joints or your back. Asthma can be controlled through exercise that only requires short bursts of activity, too. This means sports like tennis would be more suitable if you had asthma. Are you inspired by someone that is outperforming you by age? Let us know in the comments below!